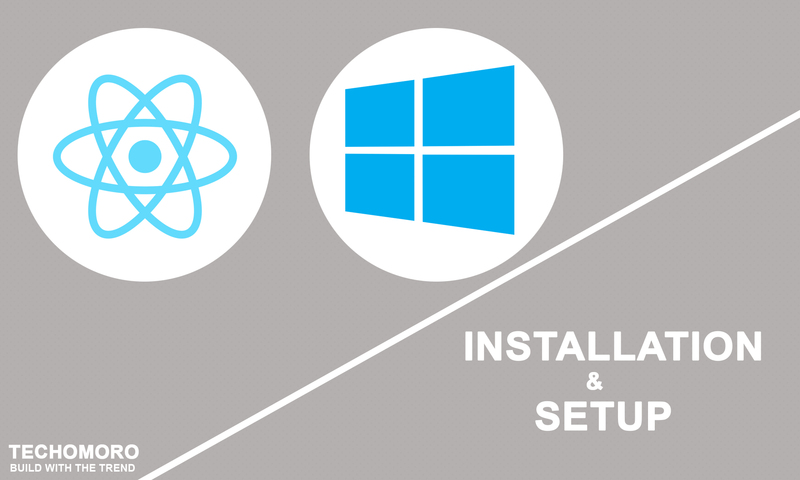 Install React Native on Windows 10 | React Native framework is getting more attention from developers who want to build cross-platform mobile applications (Android/ios). I got a lot of tutorials in installing and setting up React Native on Mac OS and Linux distributions. But this tutorial is for Windows users. We could also find an installation tutorial in the official React Native page. But I faced some issues when following it and some of the steps are a little bit confusing. This is the reason behind the making of this tutorial. Chocolate is a popular package manager for Windows. So at first, we need to install it on our system. To install Chocolaty, Open Command Prompt with administrator privileges and run the command below. Now we can install Nodejs, Python2, and JDK using Chocolaty. This can be done using below command. 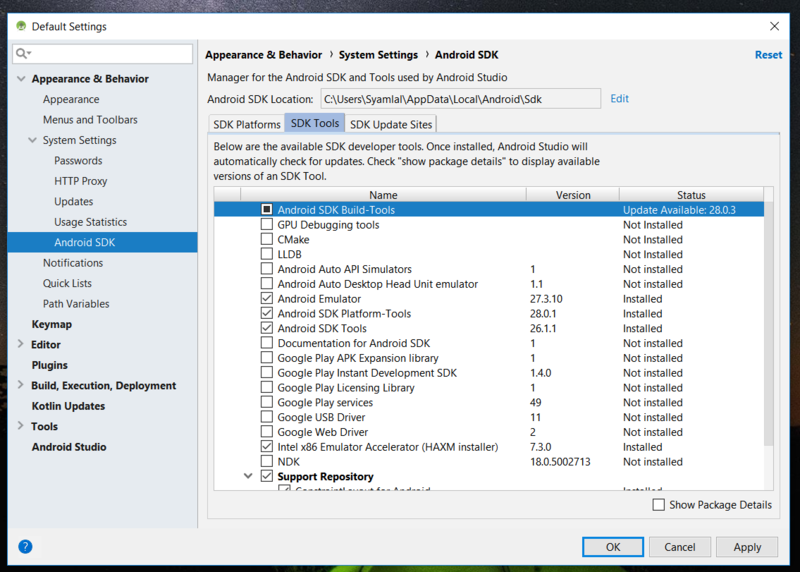 Android Studio installs the latest Android SDK by default. Building a React Native app with native code, however, requires the Android 8.0 (Oreo) SDK in particular. 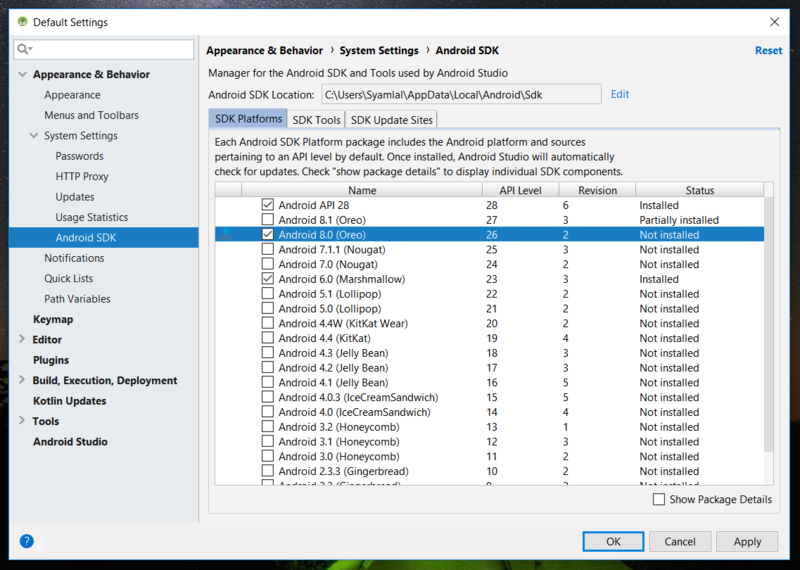 Additional Android SDKs can be installed through the SDK Manager in Android Studio. The SDK Manager can be accessed from the Welcome to Android Studio screen. Click on Configure, then select SDK Manager. We can easily install react native CLI using npm. So install it with the below command on Command Prompt/ Powershell on our system. Using react native CLI, we can create a new React Native project. Now we need to run the project on our Android phone. For this, it needs to set up our mobile device first. Now, return to Settings. we can see the Developer options menu there. Enable it. Also, enable the USB debugging option in it. 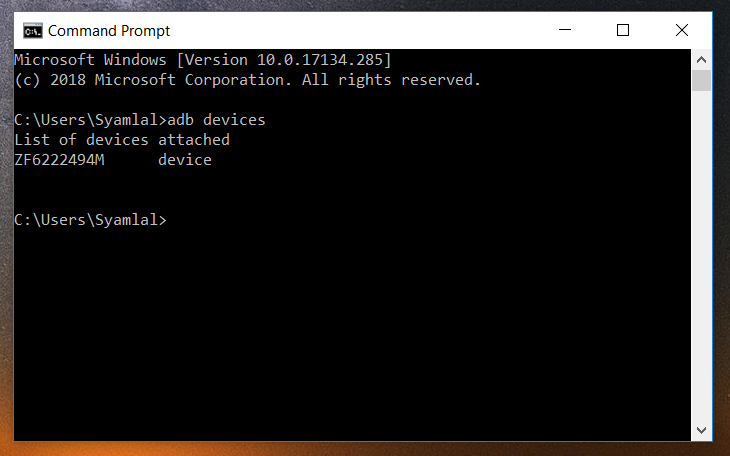 Connect our mobile device with our Windows system using the USB cable. Type the below command to verify whether our mobile device is connected or not. 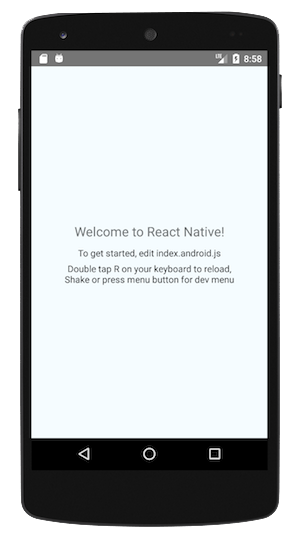 Now, run the below command to run the react native app on our mobile device. Note: We can also run our application of Android Virtual Device(AVD) which can be created from Android Studio. But I am not explaining it in this tutorial.